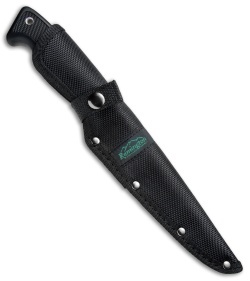 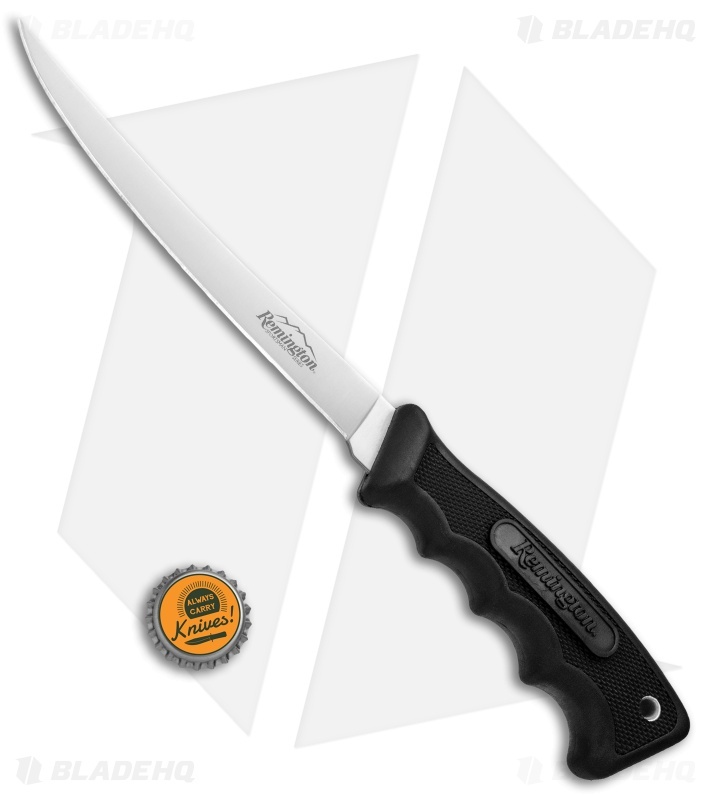 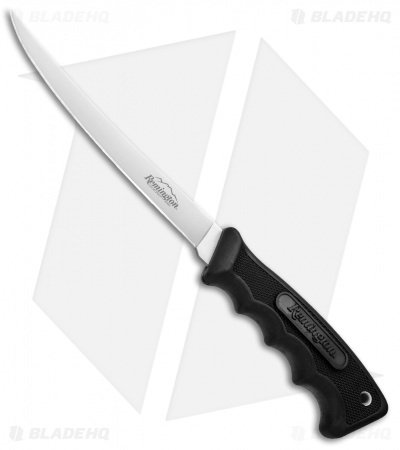 The Remington Fillet knife offers a large thin blade for managing more delicate and precise cutting chores. 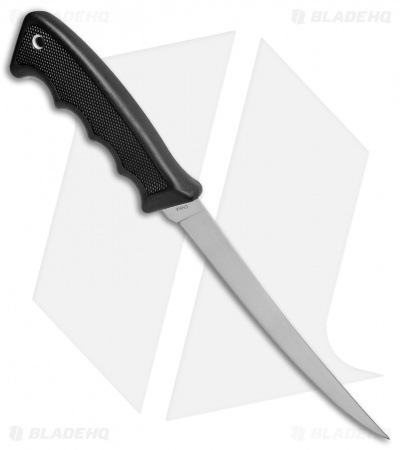 6.5" fillet blade made from 420 stainless steel with a plain cutting edge. Black rubber handle with finger grooves for a secure grip.